The Mystic Lightning 3mm boots are the answer to cold feet! Featuring a thin vulcanised rubber sole for better feet to board control! 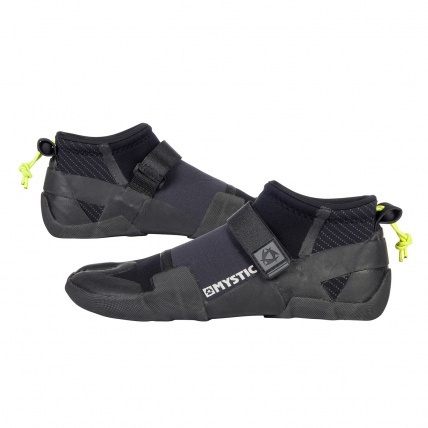 The Mystic Lightning 3mm boots are for those looking for their answer to cold feet! Featuring a thin vulcanised rubber sole for better board to foot feel and offer a solid barrier of protection against nasty rocks and shells. The Lightening boot also features GBS and S-seams (Liquid seams) on the outside as not only an extra bit of reinforcement, but to keep the warm water inside the boot from escaping through the stitching!